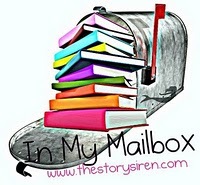 In My Mailbox is a weekly meme hosted by Kristi at The Story Siren. It's a fun way to exhibit the books we recently acquired. I won these signed Slide (by Jill Hathaway) bookmarks from a giveaway that Monica @ Cover Analysis was having on her blog. If you don't already follow Monica, you totally should because she's super nice and funny--plus her blog rocks! I'm currently reading Under the Never Sky and I LOVE it so far. I'm planning on reading Shatter Me right after that because I'm going to a book signing next weekend for Veronica Rossi & Tahereh Mafi!! Also, I can't wait to read Taken at Dusk because the Shadow Falls series is one of my absolute favorites! 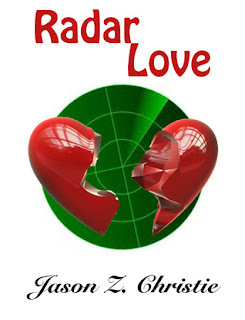 This book sounds exciting, romantic and unique! I've read nothing but great reviews on it. What a wonderful mailbox. I really loved Under The Never Sky and really did enjoy Shatter Me. I just finished Shatter Me last week it was good! I need to get my hands on Under The Never Sky, I've heard that it's really good. Congrats on your win! Totally cool that your going to a book signing- I've never been to one :( Authors never seem to stop by my state.. too small I guess? Enjoy! Hi Shannon! I've heard a lot of nice stuff about those books you got. Have fun reading! I need to read Under the Never Sky soon. I've heard such awesome things about it. Happy reading! i have not read under the never sky yet but i hear it's really good. glad you are liking it so far. hope you enjoy the rest of your books, too!